This mostly-faithful recreation just went too far. 8bitdo has crafted a well-built NES controller with the N30, but it stumbles by adding buttons that weren't present in Nintendo's classic. Editor's note, October 19, 2017: 8bitdo has changed the name of this product from NES30 to N30. Emulating classic games is a wonderful way to relive the past—but it never feels quite right playing Super Mario Bros. on an Xbox One controller. 8bitdo's N30 ($32 on Amazon) wants to complete your retro gaming experience. 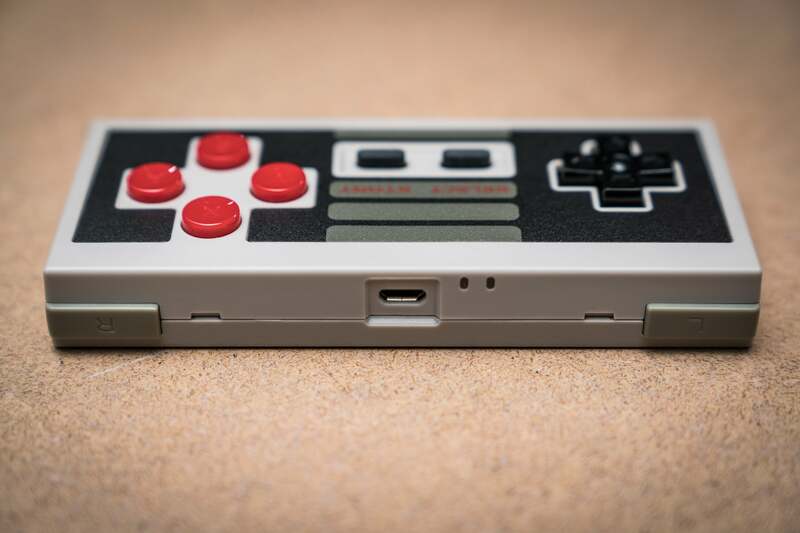 The N30 is 8bitdo’s modern take on the iconic Nintendo Entertainment System’s controller. Its faithful design and Bluetooth connectivity help the N30 stand out in a horde of cheap and flimsy retro controllers. The controller also comes pretty damn close to the real thing in terms of build and switch quality, and in some ways it surpasses the original—but 8bitdo might have gone too far by including additional buttons. 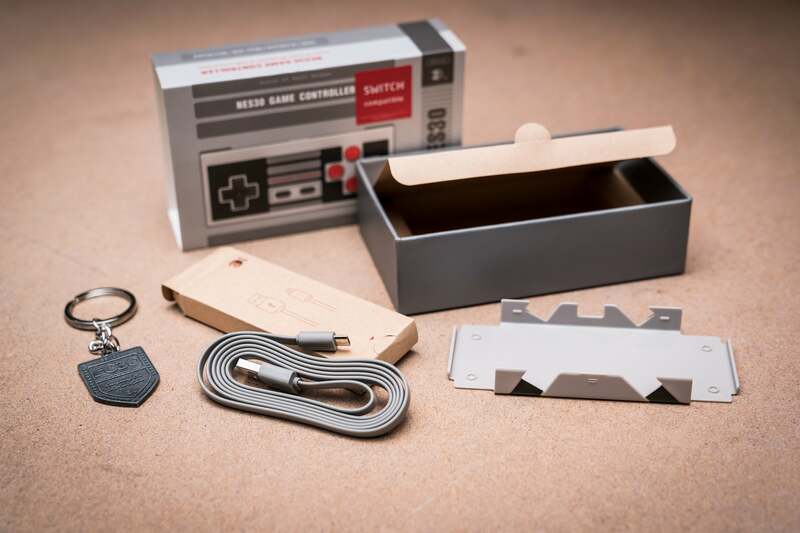 8bitdo has crafted an NES controller that stands up to the original. The N30 is fully compatible with Windows 7 and above, macOS 10.7 and later, Android 4.0 and up, Steam, and the Nintendo Switch. Load up the ‘Legacy’ firmware and get access to Raspberry Pi and Nintendo Wii and Wii U support. The controller connects via Bluetooth 4.0 or an included mini-USB cable, with button mapping and configuration support for X-input, D-input, Mac mode, and Nintendo Switch mode. The N30 sports a 480mAh rechargeable battery rated for 18 hours of play time and takes between 1 to 2 hours to fully charge. During my testing this claim held true. With short-burst sessions I easily got a month on a full charge, and never felt like I was left hanging with a dead controller. The weight of the battery makes the N30 heavier than the original, but this was actually a perk since it felt more substantial in my hand. Included in the box is a USB cable, key chain, and Xtander, a stand for proping up your phone. To activate the controller, hold down the Start button along with a face button to load the appropriate configuration. In the case of Windows it was X, mapping to the X-input button layout. The LEDs light up when the controller is on, at which point you can chose to plug in the USB cable or hold down the Select button to connect via Bluetooth. Wireless connectivity is one of the N30's biggest advantages over the original Nintendo controller. While playing with a cable plugged in feels more nostalgic I mostly used the controllers with Bluetooth. Both input methods work well, though. The included mini-USB cable is a bit short but it was long enough to reach my PC, which sits on top of my desk. Bluetooth has problems in general, especially in environments (like my desk) with several Bluetooth devices around. Fortunately I felt very minimal latency using the N30, even when playing faster-paced games. I did experience a couple missed button presses during my testing, but wasn’t able to narrow the cause down to unrecognized clicks or Bluetooth drops. 8bitdo's N30 feels very good in the hand, partially thanks to an internal battery that gives it some heft. The N30 is modeled after the original NES we all loved in the 80’s, with a distinct fit and finish that matches its namesake. The textured plastic and smooth, hard buttons feel pretty damn close to the original (which I still have). The coloring and design is spot on, summoning a wave of nostalgia the first time I picked it up. The buttons are another area where 8bitdo has improved over the original—at least individually. Far too many cheap NES controller knock offs get this important feature wrong, ruining the experience. The N30’s buttons are actually a bit more clicky than the original controller's but still have a low enough actuation point that it stays true to the classic’s actions. 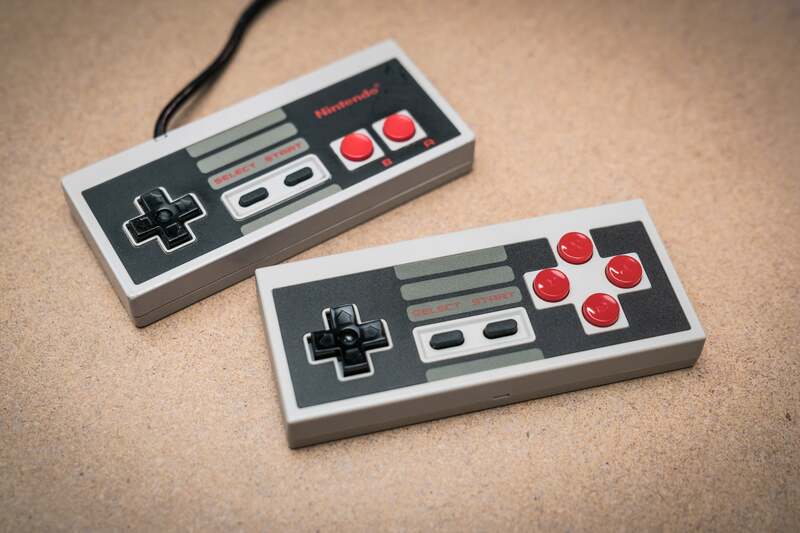 8bitdo expands on the original NES design with two extra face buttons. While the classic controller's dual buttons laid side-by-side, the N30 places its four in a cross shape that mimics the SNES and other contemporary controllers. You'll find two small shoulder bumpers added to the top as well. On the top of the N30 is the USB port, LED's to show status, and new shoulder buttons. But the addition of extra buttons has me a bit conflicted. 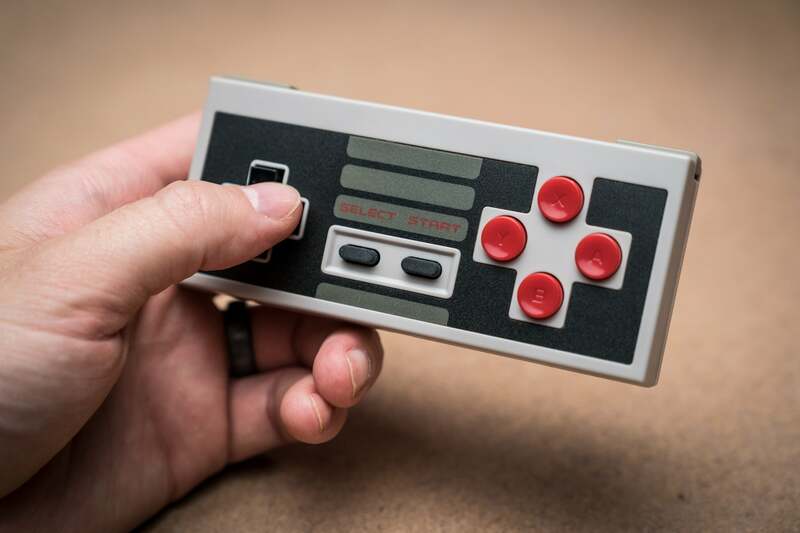 I understand that 8bitdo wants this controller to appeal to NES enthusiasts as well as be versatile enough to play more than just NES games. Unfortunately it does neither great. Playing NES games on the N30 just didn’t feel right with the altered button placement. My brain and hands are wired to fall into a rhythm in games I've spent hundreds of hours playing. Everything about the look and feel of the controller clicked right into that rhythm—until my right thumb hovered over where the A and B buttons were supposed to be. That my brain has such a hard time parsing the placement of two buttons is almost a testament to the rest of the controller's design. And using the new shoulder buttons for other systems—like Super Nintendo emulation—was unfortunately awkward. They’re too small and too far off to the side, causing me to rotate my hand in a way that didn’t feel good. It would've felt more natural to have the buttons towards the middle, where the tips of my index fingers land. 8bitdo did justice to the design of the original NES controller, but went to far by including extra face buttons. With the N30, 8bitdo comes damned close to creating a better version of the NES controller. But ultimately, the new button additions disappoint. 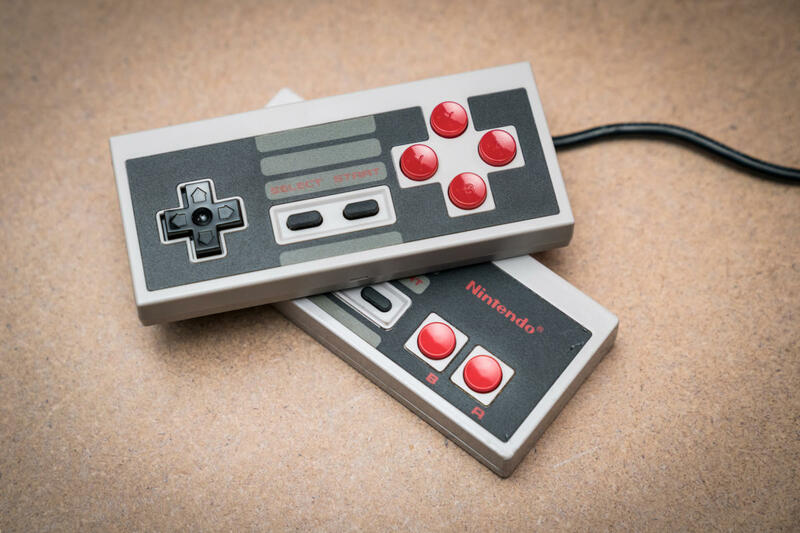 I would've preferred the N30 leaned into being a great NES controller first and foremost. If you prefer a classic controller with the same functionality and aren’t married to the NES design aesthetic, I’d recommend the SN30, 8bitdo's sterling take on the SNES’s gamepad. But if your memories lie squarely in the 80s and you want modern trappings, then the N30 is one of the better retro NES controller options—just know you're settling for a trade-off. And with the N30's premium $32 price tag, those trade-offs can be a tough pill to swallow. With the NES30, 8bitdo comes damned close to creating a better version of the NES controller. But ultimately, the new button additions disappoint.